Looking for a new Land Rover near Branford? With over 73 vehicles in stock, Land Rover North Haven has you covered. Whether you’re searching for a new Land Rover Discovery Sport, Range Rover Evoque, or the stunning new Range Rover Sport, we’re sure to have a Range Rover in stock with the features and options you need. To make sure you’re getting the best deal possible, we also offer a number of rotating new vehicle specials. Browse our inventory online to discover the new SUV for sale that you’ve been dreaming of. Once you’ve browsed our inventory online, it’s time to experience the joy of driving a brand new Land Rover for yourself by taking a test drive. 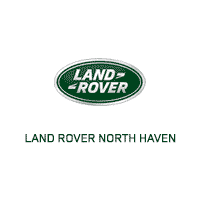 Contact us today to schedule a visit to our showroom in North Haven near North Haven, and learn more about Land Rover leasing!